Where to look for Flaviviruses in Wildlife? Machine learning to help large scale surveillance of wildlife for emerging zoonotic viruses. Insights from computational models in epidemiology, which rely on field data collected from surveillance for development and validation, can predict risk of emerging threats, enhance pandemic preparedness, and inform on-the-ground needs in global health. Models also assist in targeting future surveillance activities where emerging threats are most likely. In turn, more field data improves baseline models by amending assumptions and by increasing the statistical power. This iterative process of computational modeling, field studies, and data generation eventually helps advance our understanding of the underlying mechanisms of epidemiological systems and betterment of surveillance systems. I was able to experience this iterative process of research during my work as a postdoctoral fellow at the EpiCenter for Disease Dynamics in the One Health Institute while working on a project funded by the Defense Threat Reduction Agency of the Unites States Department of Defense. Federal agencies and international partners are seeking insight into risks associated with emerging infections from wildlife in order to strengthen epidemic and pandemic preparedness. One of the important zoonotic viral groups that is an important focus to inform on emerging risks is Flavivirus, a viral genus of mostly vector-borne viruses and includes viruses such as West Nile virus, dengue virus (DENV), tick-borne encephalitis virus, yellow fever virus (YFV), and Zika virus (ZIKV). Flaviviruses can infect a wide variety of vertebrate species and humans, and some of these viruses—such as dengue virus and yellow fever virus—have established an independent sylvatic transmission cycle from their urban transmission cycle involving humans. These sylvatic systems not only help in maintaining viral transmission but also cause human outbreaks due to sporadic spillover. Identifying these wildlife host-vector systems is essential for long-term control and prevention of flaviviruses. For emerging flaviviruses such as ZIKV, we do not know which wildlife species can be infected and potentially could play a role in future sylvatic cycles. Conducting large sampling surveys to detect positive species is logistically difficult as these viruses cause viremia for only a few days. We addressed this challenge by collecting and examining all current knowledge about flaviviral hosts and determining which ecological, physiological and climatic conditions of known hosts could help us identify potential unobserved hosts of flaviviruses. Then, we expanded on established machine-learning models by using host traits that could be applied to all mammalian and avian species on Earth to predict their potential as hosts. Our work indicated that there are most likely hundreds of potential yet previously unobserved flaviviral hosts. Figure 1: Data collected during the study showed that Flaviviruses can infect a wide variety of vertebrate species. Rio Bravo virus, Dakar bat virus, and Entebbe bat virus from the Flavivirus genus are known to infect only bats, while some flaviviruses such as West Nile virus were found to infect diverse bird and mammalian species of twenty-nine taxonomical orders. 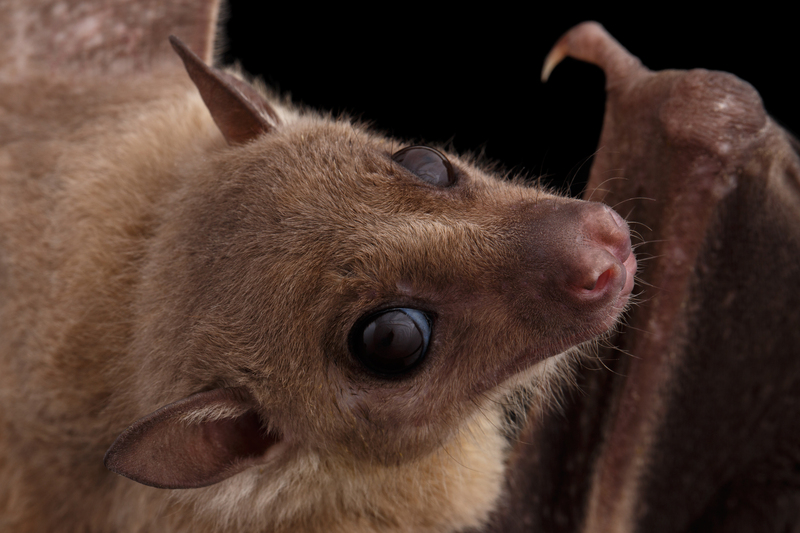 Image shows an Egyptian fruit bat (Rousettus aegyptiacus) a relatively common fruit bat species in Africa (Getty). Results of this study published in Nature Communications will aid large scale surveillance efforts such as one underway with the USAID’s Emerging Pandemic Threats PREDICT project, which aims to investigate viral threats in wildlife that have the potential to spillover to humans. PREDCT is working with partners in 30 countries to conduct wildlife surveillance and identify viral threats before they spillover and spread through human populations. Our models narrowed down avian and mammalian targets with potentially important roles in sylvatic transmission and have identified potential regions with high host diversity that should be prioritized for flavivirus surveillance, particularly if human cases emerge or re-emerge in new areas. For example, in South Asia, models identified three primate species with a high likelihood of being hosts for ZIKV. To date, evidence for ZIKV in wildlife in South Asia is limited to serological detection (complement fixation test) in three rodent species. However, recent detection of human cases with a local strain of ZIKV indicates there is sustained transmission of the virus within the region, emphasizing a need for more in-depth wildlife surveillance. Figure 2: Primates are one of the important mammalian orders with a high likelihood of hosting groups of flaviviruses including Zika virus, yellow fever virus and dengue virus. 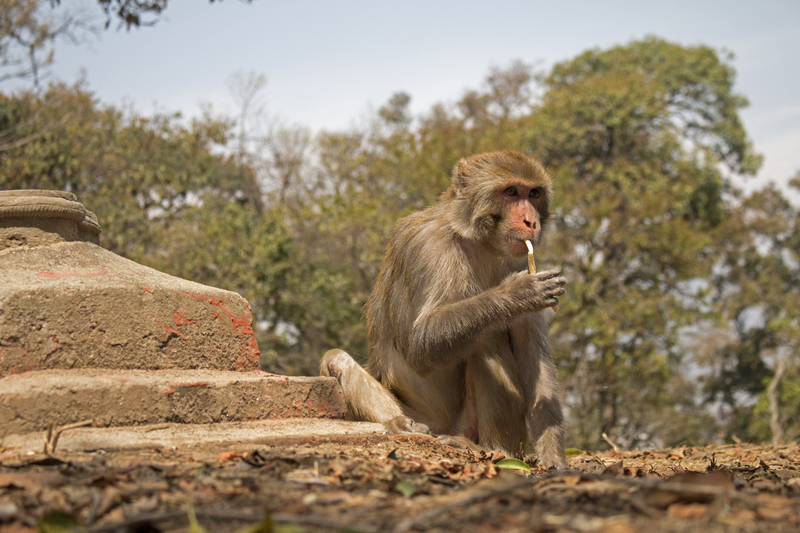 Rhesus macaque (Macaca mulatta) shown here is being sampled for saliva using a non-invasive sampling method for detection of zoonotic viruses including Flaviviruses. 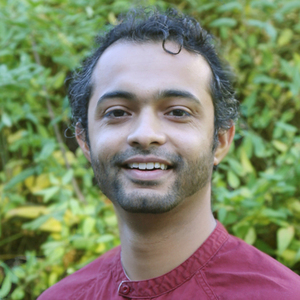 Pranav Pandit/PREDICT. As an iterative process, model results generated a baseline prediction, which will be improved following the discovery of new flavivirus-host associations and increased understanding of the ecology of flaviviruses. To reduce the risk of spillover of flaviviruses, we will need to find ways to reduce contact with hosts and vectors in sylvatic systems. We also must recognize ecological disturbances that impact sylvatic transmission. How does flaviviruses transmission vary as host and vector diversity and abundance change? Does habitat loss for wildlife hosts lead to more risk of spillover? These are the questions we at the EpiCenter for Disease Dynamics are trying to address now. Maintaining the homeostasis of host-virus ecology in the sylvatic systems that have co-evolved over millions of years could be the best way to prevent human outbreaks in the long run and ensure wildlife conservation.